Shining Line Hay 6 productos. 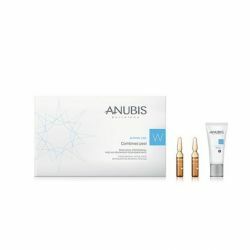 Anubis Shining Line, tratamiento facial peeling renovador despigmentante. Anubis Shining Line Whitening Cream 60 ml. Anubis Shining Line Whitening Emulsion 50 ml. Anubis Shining Line Whitening K Concentrate 6 mp.x 5 ml. Anubis Shining Line, cocentrado blanqueador despigmentante. Anubis Shining Line mascarilla iluminadora despigmentante. Anubis Shining Line Whitening K Serúm 200 ml. Anubis Shining Line, serúm blanqueador despigmentante.